Martin’s Map Parts The Water! Moses Would Love This Map! Know the lake like you started fishing Fork on opening day. Martin's map brings back the pictures that tell volumes. Lake Fork Unplugged is just that. This site shows the lake without the water! This particular shot is located at the West 515 bridge and shows the lake at 12 feet below pool level. Now some people look at a picture like this and often miss the valuable information that is staring back at them. I myself could take this picture and write a rather long story about exactly how the fish would relate to the items shown in it. You have several roads, a bridge, a garden spot, & side roads that come off the main road to the left that indicate to me where the fish in that area would more than likely will be. I can also see that the bridge road has been cut out in order to allow boat traffic to pass through at this stage of inundation. I can see the location of the main creek channel by the way trees follow it’s outline. I can also tell there is probably an increase in elevation by the color change differences. So if I’m trying to find fish in this area this is is a valuable source of information. A great picture if not perfect for narrowing down the location of the best fish in this area of the lake. Now if you were to compare a story that I were to write for this picture to a story that I did about this same area with all the water in it I’m sure you would be happy with the first and sad about the last. The second one would be less informational and more about how pretty the area looked. What I’m trying to say is sometimes people disregard the value of these pictures because they really have not been trained to recognize the fish holding areas by looking at a photo. Basically…A picture like this is a valuable tool which enables the angler to know much, much more, about where fish are likely to hold to structure. And within this site there are literally hundreds of pictures that will enable you (if you know what to look for)to figure out where the fish are likely to be waiting for you! Also I have plans to help everyone on the site know what to look for. That being said I hope that you will join and let us help further your knowledge of this great lake, Lake Fork. Lake Fork Unplugged On Steroids! What makes the difference between catching a big fish and winning a tournament? Just like real estate...Location, Location, Location! Martin’s Map of Lake Fork is a map like no other! FYI…the paper map alone took four years to make. The CD-Rom version took a year and a half. The book took another year to make. No other map company goes to this length in order to provide information at this level. We spent hours on the lake, hours talking to guides, hours shooting GPS coordinates on structure on the lake and actually preformed hydro-graphic soundings on the lake in some places. In some places we shot GPS on trees at one pool level, waited on the water to drop and shot trees again at the lower level. You will notice in some places that the tress are different colors. Trees at one level are one color and trees at the other level are another. It’s just one way of providing additional information for anglers. Some contours of Lake Fork were incorrect on USGS maps. In those places we came in and did soundings and actually changes some contour lines as a result. If that’s the case there are millions of words contained within. We include hundreds of pictures at various stages of inundation. Some may be 12 feet low, some may be 40′ low and other areas are shown bone dry. What does that tell you, you might ask? It can tell you everything about where those fish are likely to be holding patterns. This ain't your grand daddy's old map! “I remember the old days. Lone Star metal boats, pull rope motors, wooden paddles, “fancy” metal clip type fish stringers, and a depth finder that consisted of a rope with a heavy weight. There wasn’t any such thing as a slot limit much less a limit on fish. Back then catch and release was when you dropped them in the frying oil. And maps, they were pretty much non-existent? My grandfather was an avid angler and he had some of the newest reels made and even some early plastic worm baits. All his equipment was pretty primitive by today’s standards however I’m sure he saved long and hard in order to eventually afford to buy them. Fishing must have meant a great deal to him as I know back then times were hard and money scarce. I was only about five years old when he died however looking back I would say that he obviously knew a little bit about life and living well. Through the years things began to change. There were some early maps that people did. Most of those maps were probably tied to local advertising. Then came along AID maps. My first map purchase after getting hooked on fishing was an A.I.D. map of Lake O’ The Pines. I was immediately disappointed with the amount of detail it showed for the lake. It showed how to get there but nothing much in the area of what was fish-able in the lake. So this began this long career to improve fishing maps for me. Through the years I often had people complain to me about A.I.D. maps. They would vent to me about just how awful and non-informational they were as far as fishing goes. I often thought that if I could get someone to pay me five cents for every time I heard a complaint about them I wouldn’t ever have to work again. I had to remember that I started this quest as a result of their shortcomings as a fishing map. I guess I should have been thanking them. Later in years it finally dawned on me that A.I.D. wasn’t really a map company at all. Their business was advertising. They were an advertising agency that just used a fishing map as a way to get them customers. There was a definite need for advertising in the rural areas around the lakes for businesses. These lake sites were usually too far away from towns so A.I.D. was filling a void for those businesses. It seems that providing actual fishing information was never in their business model. So I would say that most of us were wrong to assume they should be doing that. Top Secrete Fishing Information By The People Who Were Here From Day One! Some of you may remember the CD version of our map of Lake Fork that was published in the year 2000. It was called “Lake Fork Unplugged” and it first hit the scene at Bass Pro Shops. It was full of pictures of the lake at various stages of inundation and came with beautiful precise maps of the lake topography. Back then there was only so much information and pictures you could include on a CD-ROM. Fitting all the files that we had on a CD-ROM required us to eventually pick and choose what few pictures we could physically fit on it. We just didn’t have the room to include more. With the advancement of technology it seems that we will be able to provide you with a greater amount of information than you’ve ever had available for Lake Fork. If you really and truly want to learn this lake then joining this subscription based site is definitely the step in the right direction for you. We are opening the site with as much information as we can have available at this time. There is so much information to include on this site that we will regularly provide updates throughout the year in order to get you a look at everything we have. Fishing season is upon us and people need to review whatever we have available now. So if you join the site and get to thinking you have seen it all…..well you haven’t. There may even be a few things shown in the future that only a very small amount of people knew about this lake. At any rate we hope to help you totally learn the lake. Learn From The People Who Know The Lake! Mind melt with the best! I have found through the years of beating the brush for answers with regard to these lakes that the best way to find out an answer is to simply to ask for help. Amazing, who would think that it would be so simple. Just ask someone. All those answers that I got through the years require me to do something in return for the generous people who have contributed to these maps through the years. My penance with regard to all that help (too numerous to mention) is to pass that information along to those that need it and want it. So here you are. All you have to do is ask. This has been a long old road for me that I turned on back around 1983. That is when I began this great adventure. As you might imagine the spark that caused the fire came from a fishing trip. I realized from that trip that getting to be on the water was about as good as it gets in life. I had a background in surveying, engineering and a love of good fishing maps. There were no good ones back then at least not for the ones I wanted to fish around Longview. That is where this morphed into a devotion to improve fishing maps for others. It was never about making money and it’s a good thing it wasn’t. 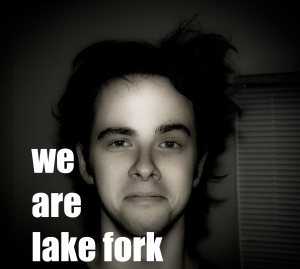 It took me four years to make the first Lake fork Map and I did something to it every day of those four years. It took another year and a half to produce the CD-ROM version of it. Obviously it wasn’t the money because I continued to work for various companies through the years and also had several other businesses as well during that time. However Lake Fork never left my mind. What better way than to honor those that helped better our information of this great lake than to show others in some awesome fashion. So, the plan is to show it all. I will leave nothing out. Ask and it is yours.